Mount Everest Base Camp stretches across the great stretches of the Himalayas. The elevation of Mount Everest Base Camp is at an altitude of 5354Meter (17598Feet) above sea level. Such an elevation also brings about chances of altitude sickness. Most first-time trekkers to Everest Base Camp may not have experience such elevation conditions all their life. The elevation of Everest Base Camp elevation is not the highest point of the trek. In fact, the highest altitude along the trek is in Kala Patthar (5545 meters). The expedition of the Base camp begins at the elevation of 2860 m from Lukla. The Everest region is situated in the northern terrains. Most of the landscape comprises of Himalayan topography. The Everest Base Camp Elevation ranks one of the highest trekking routes in the world. The landscape is mostly alien. 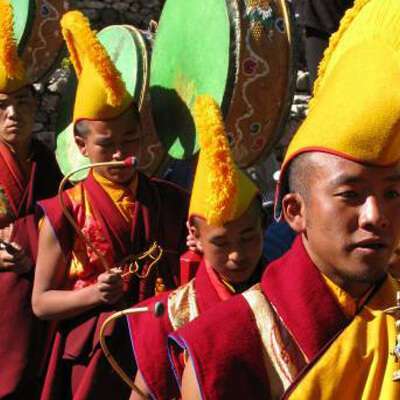 The region is situated in the northern terrains, Everest Base camp is composed of Sherpa people, the region presents unique culture and traditions as well. The biodiversity at such high elevation is a sight to be witnessed. At such staggering heights of Mount Everest Base Camp elevation, Snow Leopards roam the snow-covered Himalayas. They are protected under Sagarmatha National Park. Woods surround most of the villages and are home to Nepal’s National bird Danphe. The natural views of Nuptse, Everest among many others provide excellent spectacular views. Plants and Animals are abundant at such sky scraping elevation of Mount Everest. Rhododendron among many other flowers blooms marvelously. The oxygen level at an elevation of the Base Camp is 50 percent less than compared to sea level. You might experience certain difficulties due to such conditions. The ascent to the summit begins from the Everest Base Camp at an astonishing 5,364 meters. The Everest Base camp is located at the south side of Mount Everest in Nepal. There are other camps at different points which leads to the summit of Mount Everest. Everest Base camp is located at the lowest elevation among those camps. Camp 2 and 3 are located at the elevation of 6,500m and 7,400 m respectively. The highest camp (camp 4) resides at the elevation of 8000 m. The summit lies ahead at the incredible elevation of 8,848m. 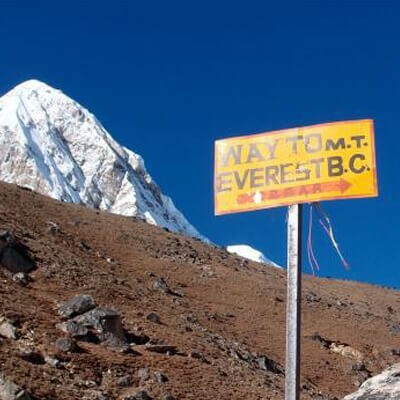 The entire Everest base camp trek occurs in two high altitudes. Lukla Airport (2,600 m) and Kala Patthar (5,500 m). Both of these regions are known commonly as High altitude and Very High Altitude. The change in Altitudes during the trek might affect the health conditions of the travelers. The amount of oxygen keeps on decreasing with the descent into the Himalayas. Normal people like you and I are likely to get sick, if we ascend elevation over 2000m above sea level. The trek sets off at high altitude. The increment in height is radical. The trek must commence forward gradually. The increase in Elevation during trek is noticeable. You will notice the change in altitude as you proceed further. Altitude gain is not very high each day. Make sure that you don’t ascend to a very high altitude a day. You must go slow during your treks so that your body gets good acclimatization. Your journey to the Everest Base Camp will cover altitudes of 1,400 m to 5,500 m. You should understand that the environment you face at the lower elevation does not come close to the environment at a higher elevation. There are health complications when your body is exposing to such high elevation. Altitude Sickness is one of the medical conditions you might face if you don’t prepare well to cope with the altitude. Altitude sickness is caused by the lack of oxygen. In high altitude regions, the air molecules are less compared to lower elevation due to atmospheric pressure. Your body will experience many changes. People react differently everyone reacts differently to different levels of altitude. People will not experience any symptoms or feel any different when climbing from sea level to 2,400m. Altitude Mountain Sickness is also known as Acute Mountain Sickness (AMS). Altitude sickness is the physiological changes in your body at high altitude. You will experience rapid, deep breathing. Experiences like this are common. The symptoms can be cured allowing your body to acclimate for 1-2 days after your arrival. Oximeters can be helpful to detect the effects of altitude sickness. Enough time should be used by the body to cope with the diminishing oxygen levels. I advise you to take your time. Breathe-ease and continue on your trail nice and easy. Create a slow pace with proper rests and breathe normally. Altitude sickness affects people of all ages, physical and medical conditions. Even the same person might have different experiences while completing the same trek. If left untreated and unnoticed the common symptoms might develop to High Altitude Sickness. The symptoms include dizziness, insomnia, nausea, fatigue, loss of appetite. High Altitude Sickness can advance to High Altitude Cerebral Edema (HACE) or High Altitude Pulmonary Edema (HAPE). This is a particular medical condition of the body where most of the sensory organs like ears, eyes and sensory nerves are affected. Trekkers experience AMS in a common basis. Once you reach the elevation of 3000 meters. You will start to feel the symptoms of Acute Motion Sickness. Your personal doctor may also prescribe you some medication for your short trip. Medication like Meclizine can be effective against Acute Motion Sickness. If your symptoms worsen you should be immediately descended towards the lower altitude. It is unknown and uncommon on the Everest Base Camp Trek. It is a rare Medical Condition. High Altitude Cerebral Oedema is a medical condition of the body and occurs when pressure increases in your brain to breach the capillary walls in the cranium. The brain gets less oxygen and accumulation happens in the brain. You should access medical as soon as you see the symptoms of HACE. You might lose coordination and stumble while walking if you suffer from HACE. If the symptoms worsen upon a time, you should look for airlifting to the nearest medical attention. If left untreated, you might also fall into a coma. Medication like dexamethasone should be considered just in case. Take medication like acetazolamide, take the pill before you ascend and continue to consume it for 48 hours or until you reach the highest point of your trip. Taking sleeping pills is not even an exception. Consuming dark chocolates has been believed to have healing qualities to prevent altitude sickness. High Altitude Pulmonary Edema is most likely to affect you at very high altitudes. Once you are affected by the sickness, you find it hard to breathe. Shortness of breath is common at this stage. Your body gets dehydrated and water gets released from the lungs and the lungs. The fluids breach the pulmonary capillaries and fill up your lungs. This leads to the inability of observing into the blood. High Altitude Pulmonary Edema usually occurs as you reach the altitude of 5000 meters above sea level. The patient should be descended immediately. And medical attention care unit should start the treatment as soon as possible. Nifedipine drug should be in supplies. Acclimatization process should be executed every 600 to 1,200 m (approximately 2,000 to 4,000 ft) above 2,500 m (approximately 8,200 ft). The individual should commence the imitation until the descent or the individual has spent 5 d at the target maximum elevation. Research and find the best agencies to choose from with the best claims. Trekkers who embark their journey on the foothills of the Himalayas are likely to face deadly challenges. Numerous trekkers have to halt their expedition. People tend to complete the trek as soon as possible. This is the biggest mistake they commit. The hurried decision will only worsen the conditions. Acclimatization process is important and should not be rushed or skipped. Symptoms of altitude sickness are noticeable at the altitude from 2400 meters above sea level. Overestimating the basis of facts and your own abilities, ignorance, lack of guidance and lack of knowledge are the prime reason why people suffer from altitude sickness. Adequate information will always give you an edge. The right step will ensure your safe and secure trip at different stages of the trek. information from websites, blogs, forums, travel agencies, other trekkers and many other sources.